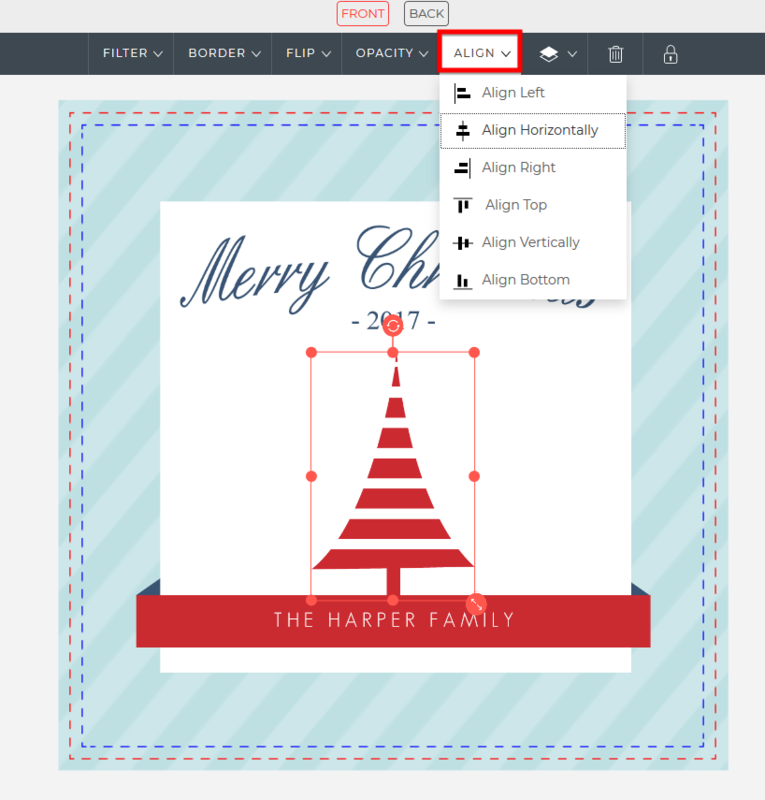 /Design Tools - Artwork and Embellishments /How do I center an embellishment on the card? Click on the embellishment you wish to center. Note: You might have to unlock the embellishment. For more on this, click here. A horizontal toolbar will appear at the top of the page. Click on the “Align” button. Choose “Align Horizontally” to center the embellishment in the mathematical horizontal center. Or choose “Align Vertically” to center the embellishment in the mathematical vertical center.